Apart from the ongoing debate about mortgage interest deductions; a discussion on mortgage principal reductions has also resurfaced. The idea was put forward earlier this year and was never implemented (apart from a few cases in recent months). In the next few months, the idea will either be implemented or completely rejected, settling the debate about mortgage principal reductions at least for 2013. The idea behind mortgage principal reductions is simple, reduce the principal and bring it somewhere near the existing value of the property. If the principal is reduced, several homeowners who are stuck in properties that no longer have equity will breathe a sigh of relief. There are several opponents and proponents of this idea. Those in favor believe that it is the only way to help out struggling homeowners. Considering that HAMP and HARP are falling short of their intended targets, this could help out everyone stuck in a mortgage they cannot afford. Those against the idea of mortgage principal reductions point out that the investor/lender loses the amount of principal reduced immediately, and that there is no chance of loss recovery. If mortgage principals are reduced nationwide, the financial establishments would suffer and consequently the economy would suffer. Another argument that goes against mortgage principal reductions is that in case property prices go up, then mortgage principal is not increased, so if prices go down it should not be decreased either. However, several other tactics have already been tried by the government and a very large majority of homeowners is still underwater. 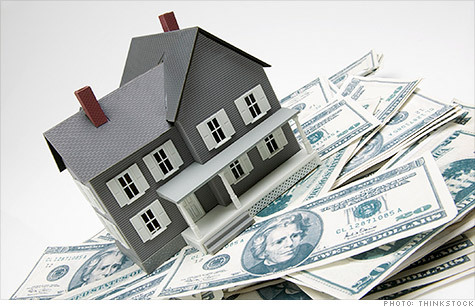 Mortgage principal reductions could change the equation in favor of homeowners. It seems as if on one hand there are financial institutions and on the other hand there are homeowners. The government has a tough task to find the right balance, and to help out struggling homeowners without making choices that may affect the financial establishments negatively. Some financial establishments have taken an initiative in this regard, and have given some great reductions to struggling homeowners. Some of the clients at Amerihope Alliance Legal Services have benefitted greatly due to principal reduction offered to them by Ocwen and Bank of America. In some of our recent cases, mortgage principal reductions have helped people save their homes. There are still months before the final verdict comes out on the idea. Until then, homeowners have to fight foreclosure without any reduction on the principal unless their lenders are offering reductions. If you are a homeowner and are having trouble making your monthly payments, get a free consultation today. Foreclosure defense attorneys and loan modification attorneys at Amerihope Alliance Legal Services have helped out hundreds of homeowners, and you could save your home too. What are your opinions on mortgage principal reductions? We will be looking forward to your feedback in the comments section.